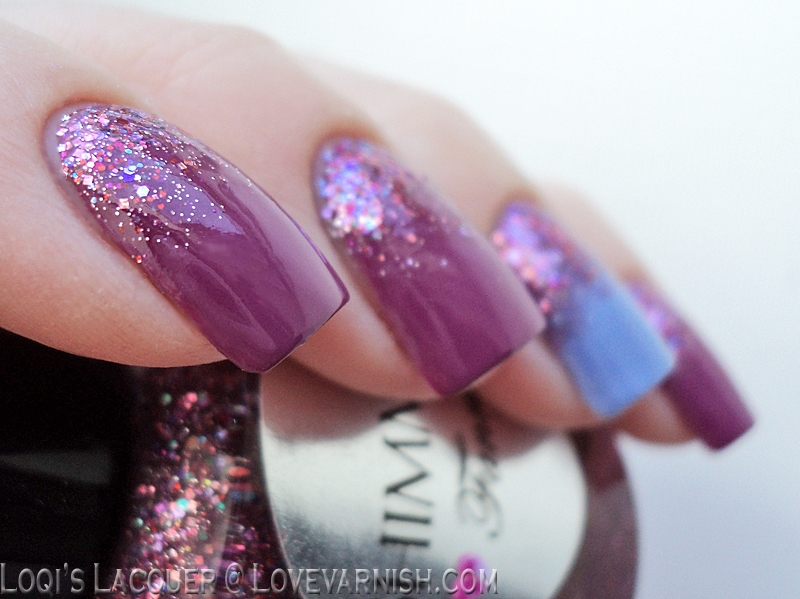 Love Varnish: 31 Day Nail Art Challenge - Glitter Nails! Hi loves! A week late but here we are with the Glitter theme for the 31 Day Nail Art Challenge :-). I had something in mind but just really did not feel like getting glitter all over my hands (I have some serious swatching to do so that would be very annoying) and therefore settled for something easier, yet very simple. 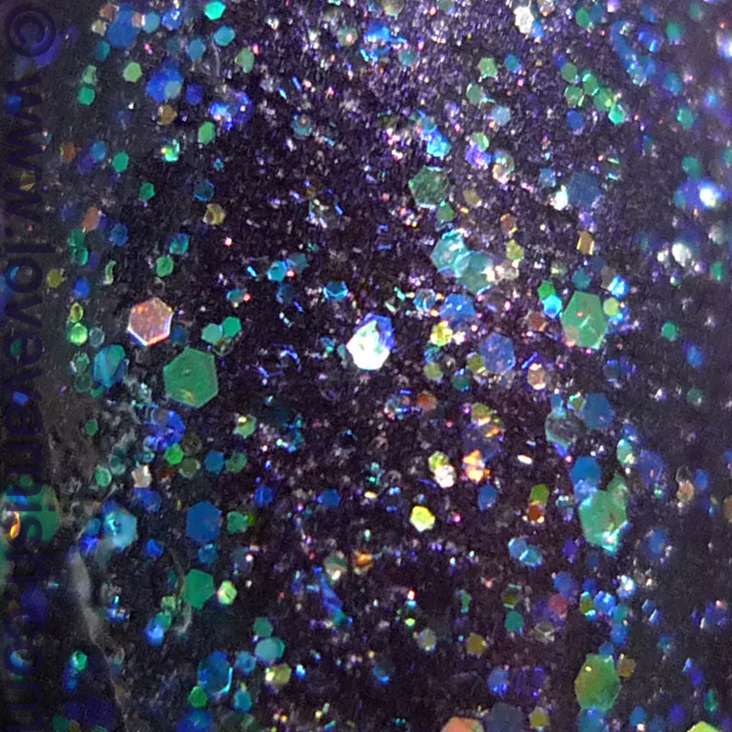 I also thought it would be fun to do a double Shimmer post with Loqi :D.
My base is 2 coats of Bondi Starry Night. This was 1 of the polishes in my subscription box and I was happy to receive it. 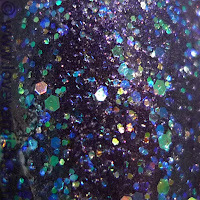 This is a bit of a chameleon because judging on the bottle color I would say it is a dark blue shimmery polish. But, in my pictures and in real life it also pulls purple/eggplant sometimes! The shimmer is gorgeous and gives the color a lot of depth. It applied heavenly as all Bondi polishes do for me. After it dried, I used Shimmer Cassandra to create a gradient. 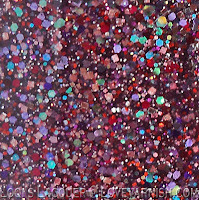 Cassandra is a clear based glitter, filled with lots of lovely iridescent and holographic glitter. It is a bit on the thick side but not hard to work with (and you can always thin it). I layered one coat on my thumb and glitter pay off was huge! That's where the close-up comes from :-). 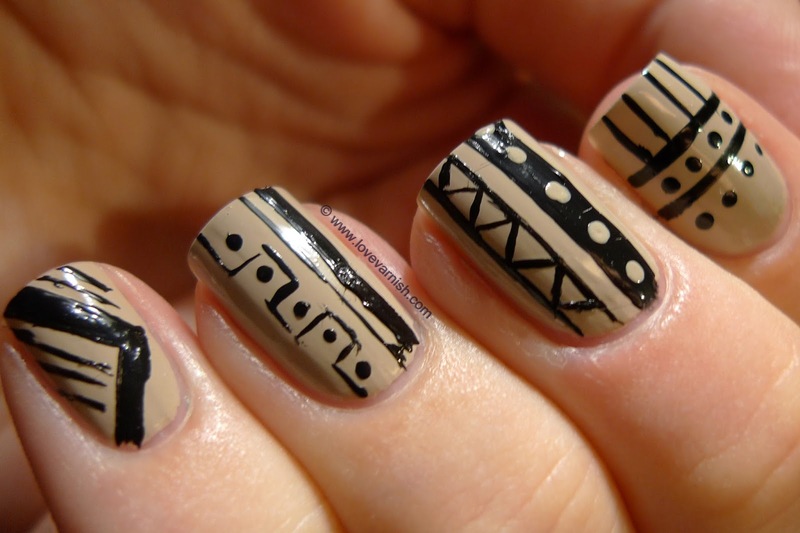 How do you like this polish combo? And would you call Bondi Starry Night blue or purple? I have kind of been doing this challenge for the last few weeks already, with all the Shimmer polishes I have been showing you :p. So I thought I would just continue my Shimmer marathon. 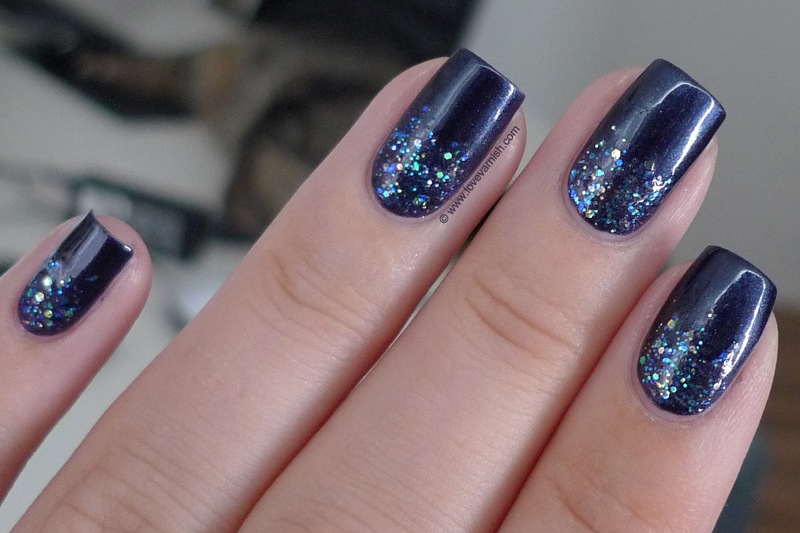 For this manicure I used Shimmer Fanny to make a glitter gradient. Fanny has a coloured base, so I thought I would use it to create a normal gradient on my ring finger as well. I picked a blue base, Kiko 339 Cornflower, for this because Fanny has really pretty blue-ish iridescent glitter mixed in with the purple and pink. For my other nails I picked Be wild! from P2 because it is the exact same colour as the base of Fanny. I quite like how this turned out. I had only used glitters with a clear base for gradients before, or I matched the other polish to the base, so I was very happy that this worked so nicely! Stay tuned for challenge day 18: Half Moon Nails! 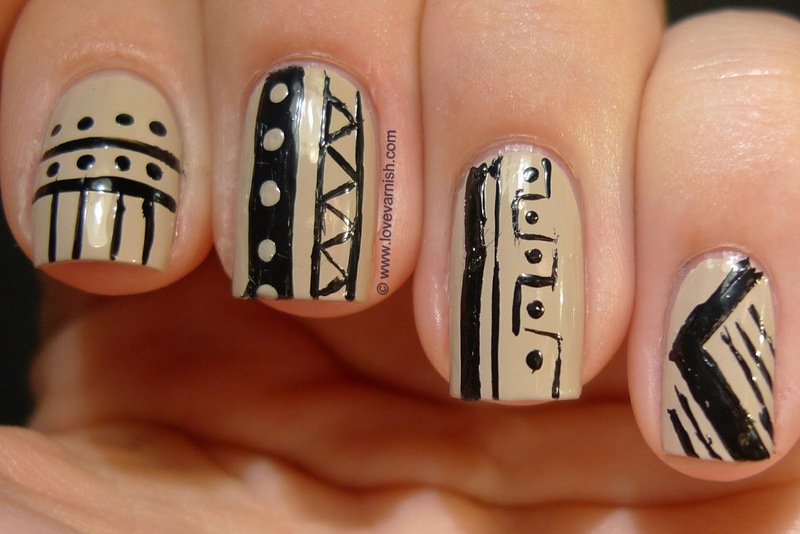 I love the first manicure, the Bondi varnish is so elegant and the entire combination turns out so classy. Haha yes GORGEOUS is a great description indeed :D.
Aww thanks Anja! That's very sweet of you :). I love these!! 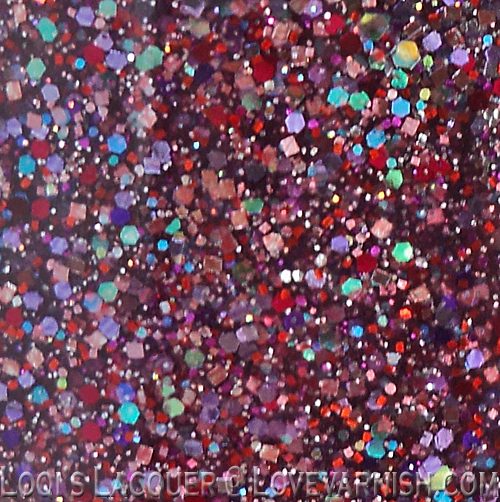 The perfect amount of glitter! I would call the Bondi a deep blurple ;0).